Fetal urine is an important contributor to amniotic fluid, and hence there is no question that the fetus voids in utero. 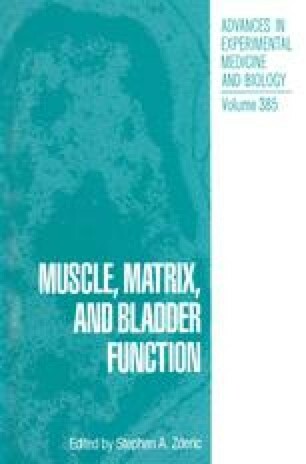 However, the maturation of the fetal lower urinary tract function has not been studied extensively. Nonetheless, defining the developmental changes is critical to understanding the pathophysiology of abnormal voiding, both pre- and post-natally. For example, the long-term bladder problems in patients with posterior urethral valves, which can cause renal insufficiency, are directly related to developmental changes owing to the obstruction. Furthermore, abnormalities of lower urinary tract function are seen prenatally and result in problems with urine storage and elimination even before birth. As a consequence, some instances of prenatal hydronephrosis may be caused by in utero vesico-sphincteric dysfunction (Kopp and Greenfield 1993). Furthermore, the advent of many new technologies in the evaluation and treatment of fetal abnormalities now allows for intervention, in the form of decompression of the urinary tract, in cases of in utero hydronephrosis. Because these interventions are technically feasible, it behooves us to understand better the physiology of fetal lower urinary tract function in to direct treatment more effectively. As we improve our understanding of normal bladder and sphincteric function in the fetus, we will be able to distinguish better between innocent urinary tract changes worthy of observation and significant lower urinary tract disorders for which therapeutic intervention would be advantageous.